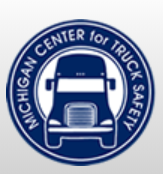 Defeating Distracted Driving: A “How-To” Guide (Basic) Charlie Culton, Safety Specialist, Michigan Center for Truck Safety. Distracted driving claims over 3,000 lives each year. We will look at the factors involved in distracted driving, such as driver attitudes, behaviors, teens, and texting. We will also discuss ways to reduce the number of distracted driving crashes on Michigan roads. USDOT-FMCSA Updates (Basic) Patrick Muinch, Division Administrator, USDOT, Federal Motor Carrier Safety Administration. The session will include a summary of recent and upcoming regulatory updates from the Federal Motor Carrier Safety Administration. Recreational Legalization of Marijuana – What is an employer to do? (Intermediate) Vern Jones, President, Alternative Safety and Testing Solutions, Inc. Employers are being challenged with the need for a workplace drug testing program and the state by state legalization of marijuana. What does your policy state compared to the information available from a drug test? Do you stand your ground, modify your policy, or simply stop testing? Is this What the Doctor Ordered? (Basic) Kenneth Stecker, Traffic Safety Resource Prosecutor, Prosecuting Attorneys Association of Michigan. This session will be an overview of marijuana laws in Michigan including the impact on employers. Fatigued Driving: A Sleep at the Wheel (Basic) Chuck Simmons, Safety Specialist, Penske Truck Leasing. Drowsy driving causes at least 800 fatal crashes every year. This discussion will examine the numbers, the science of sleepiness, and the challenges involved in finding and implementing workable solutions. Connected and Automated Vehicles – will they help to improve safety? (Basic) Huei Peng, Director, Mcity, University of Michigan. This session will be an introduction of Connected and Automated Vehicles. Andrew Horner, Gypsum Management & Supply, Inc.